Amazon has about a billion different items for sale. This is a bit of a nightmare for me. I like to weigh my options very carefully before making a decision. 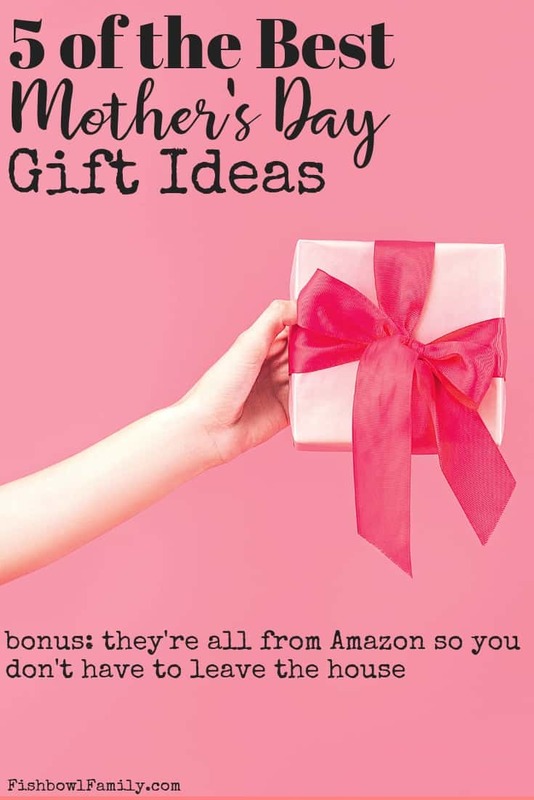 This post, The Best Mother’s Day Gifts on Amazon, contains affiliate links for your convenience. This means that if you click on a link and make a purchase, we’ll receive compensation at no additional cost to you. Read our full disclosure policy. For example, I have been trying to decide between a satchel, messenger bag, and a briefcase from Saddleback Leather for 17 months, and I am only now ready to rule out the messenger bag. The vast selection on Amazon can be paralyzing. To help you find some cool stuff without having to waste your life sifting through junk, I am going to be making some recommendations of products that I like and use, have found to be good gifts, or just think are really cool. This week I have panned through the massive stream of Amazon to find a few budget conscious nuggets that mothers are sure to like or at least pretend to like for the sake of your feelings. We will start with a budget entry for mom. Golden Devil’s Ivy is a great gift. The plant comes in a 4 inch pot and it stands about 4 inches tall with about a dozen waxy green leaves flowing from it. Let me give a few highlights of this gift. First, it is, like Steven Seagal, hard to kill. My family kills all manners of plant life and these little guys have survived being dug up by a toddler, chewed up by a dog, and ignored by the sun. Second, they purify the air in any room you place them. If your mom is like mine, her house has a lingering smell of pine cones, Christmas candles, and chocolate chip cookies, so air purification may or may not be a good thing. Third, a plant is put out in an open space where it will remind your mom of how much you love her all year long. You can enhance the sentiment by adding on a terra cotta pot and letting your kids decorate it and repot the ivy. For less than a drink at Starbucks this makes an easy and inexpensive gift. Or you could go a little next level and get her some succulents. Although they aren’t as hardy as the ivy, they are much cuter. Can plants be cute? Mini 6PCS Owl Pot Ceramic Flowing Glaze Base Serial Set Succulent Plant Pot Cactus Plant Pot Flower Pot Container Planter Bonsai Pots With A Hole By Weierken. The next entry is the SUROY Picnic Basket or as it is listed on Amazon, “Picnic Basket, SUROY Insulated Folding Collapsible Market 600D Oxford Zip Closure Basket with Carrying Handles for Outdoor Picnic (Black Spots)”. They wanted to make sure to cover all their bases. This basket is a great picnic basket despite the horrible title. It folds away nicely, keeps the contents cold or warm, is made of a super sturdy fabric, and comes in a variety of colors. Also, the product description is a classic example of why you should have a native speaker write your product description. There’s also this gray picnic basket option that’s a little more industrial looking. If you give this gift, you should really go all in and pack a picnic for you and your mom. Throw in some sandwiches, chips, cookies, and water bottles and take her to a park for a nice Sunday afternoon. Or you can promise to take her to the park some other time, never do it, and prove once again that you are just like your father. Either way, your mom will love this bag. That brag-worthy moment is the silent hope of every mother on Mother’s Day. Next is an alternative to the tried and true Mother’s Day gift – bath stuff. Giving a wicker basket filled with loofahs, salts, and soaps seems like you are creating a wonderful retreat for your wife or mother, but the reality is that you are gifting a rattan and bamboo package of lies and disappointment. Oh sure, mom loves taking baths. She loves nothing more than luxuriating in warm scented waters and reading a Francine Rivers novel, but that never actually happens. Your mom is too busy criticizing the way your dad eats, your sister parents, and leaving novel length messages on your voicemail for that. She is a busy woman. Your wife will only have time to take that mythical bath if you are going to make dinner, bathe the kids, and put them all in bed. This will not actually happen. Even if you do all of those things by yourself, you will likely just find your wife asleep in bed covered in the crumbs of half a sleeve of Thin Mints. Instead, this year give her Aromatherapaes Energize Spa Shower Tablets (also available in De-stress Tablets). Listen, I hate the unnecessary use of the latin ash diphthong as much as the next red-blooded American. Yes, I feel it should be relegated to the shoulder blades of pseudo-intellectual hipsters, but this is a really great product. These little tabs are hung in the shower and emit the glorious fragrance of a spa. This lets your wife or mother shave her legs and have that refreshing bath experience without stewing in a ceramic pot of dirty water and leg hair. Jewelry is always a popular gift at Mother’s Day. Or you could get her something a little more unique and personal. If The Princess Bride isn’t a thing in your family, Hand Trades has X-files bracelets, Dr. Who keychains, Bible verse necklaces, and countless others. They even have the ability to personalize gifts. There are a lot of sites that offer similar fare, but those sites are not Amazon. Amazon’s delivery system, merchant vetting, and product guarantees are unbeatable. So you can order with confidence knowing that you will get a good product in time and that if you don’t, Amazon will make it right. My last recommendation may get me accused of being a chauvinistic pig, but I am convinced that this would make a great gift despite the immediate connotations. My last recommendation is for an apron. I hear it, but these aprons are adorable. They come in seven different fabrics, so there is a great opportunity to pick one that looks like your mom or the mother of your children. The aprons remind me of something Donna Reed or Lucille Ball would have worn while taking care of the home and hearts of her family. The aprons are elegant, fun, and infinitely practical. They are the perfect thing for keeping your clothes clean while cooking, cleaning, changing the oil on the car, painting a mural, working in your micro-brewery, or running a multinational corporation. My mom loved Donna Reed. She was her mom role model. She loved the idea of having a clean house, dinner in the oven, and the perfect answer for all problems on her lips as soon as her family got home. Even though my mom wasn’t able to be that sort of mom, she is a great mom and as good a role model as DR herself. If an apron can make her feel a little bit like her hero, then this is a small price to pay. 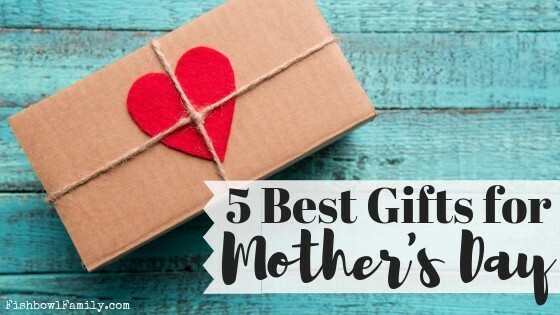 In conclusion, finding the perfect gift for your mom or wife for Mother’s Day can be tough, but with this list and Amazon, it doesn’t have to be. 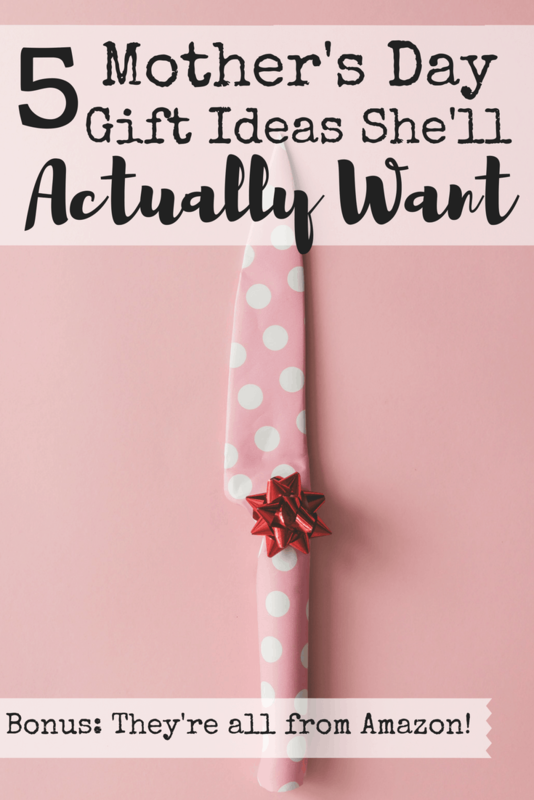 These five gifts are both thoughtful and practical which may be the best combination possible. All (most) moms want for Mother’s Day is to feel appreciated and loved, and these gifts convey that exactly. What do you think are the best Mother’s Day gifts on Amazon? Tell us in the comments!